Lindsay Roberts, editor of TheGiftInsider.com, takes the hassle out of finding unique and creative gift ideas by offering expert gifting advice and an uber-cool website full of under-the- radar gift recommendations for every type of person and price range. Chicago, IL (PRWEB) August 09, 2011 — The Gift Insider scours local boutiques, magazines and the web to help users find the best, newest, coolest, most unique, most romantic, most creative gift ideas out there – so that users don’t have to. Thegiftinsider.com is an edgy new site that lets users browse for gifts by price, person, occasion or personality, then links directly to the website where users can purchase these cool gift ideas. 1. Make it Personal So many gifts you order online can be engraved, embroidered and customized for a few extra bucks. It shows you put some thought and effort into finding a gift just for that person. Order early. 2. Consider Handmade Etsy.com is our go-to for handmade gift ideas. It’s brimming with meaningful and affordable finds that are sure to be as unique as the artists who make them. Festivals and fairs are another great place to find one-of-a-kind items. 3. Go for a Memorable Experience Gift Many companies now offer gift certificates where recipients can pick from hundreds of unique experiences like driving a race car or being a fighter pilot for the day. It’s a perfect way to give them something they’ve always dreamed of. 4. Don’t forget the WOW factor Try to add special touches to every gift you give this year. Combine a few similar and smaller items into a pretty gift set, add in some easy photo gifts from Walgreens, or wrap the gift using a favorite flower instead of a bow. The Gift Insider recommends similar tips and gift ideas across a variety of media platforms. Roberts has appeared on ABC, NBC, CBS, CW and FOX networks across the country, she was recently a guest on The Carson Daly Radio Show and contributes to several gift guides and online columns. Roberts started the site after working in the publishing industry at magazines such as Esquire and Good Housekeeping. She decided to leave the corporate world and pursue her passion for creative gift-giving in June 2010. 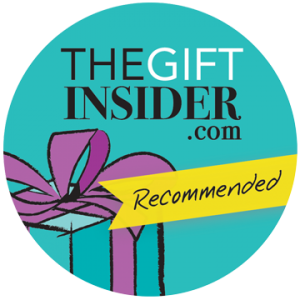 For more information and gift expert interviews, media appearances and spokesperson opportunities, please go to The Gift Insider’s contact page to contact Lindsay. This entry was posted on Monday, August 22nd, 2011 at 7:26 am and is filed under Christmas/Hanukkah, Etiquette/Advice, Favorite Posts, Holidays, Press. You can follow any responses to this entry through the RSS 2.0 feed. You can leave a response, or trackback from your own site.